This is a rectangular Agricultural Conservation Association porcelain sign. This particular Agricultural Conservation Association sign is predominantly white with green printing. 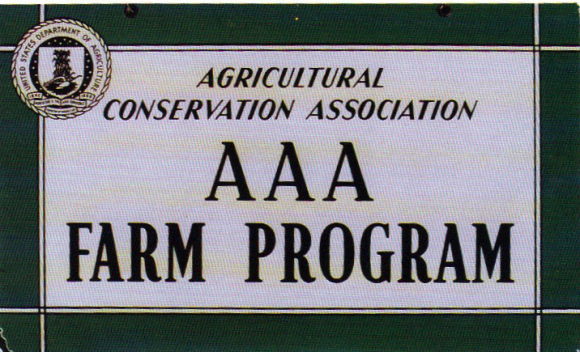 It reads, “Agricultural Conservation Association, AAA Farm Program”, and features the United States Department of Agriculture Seal.